How Are Optics Made Fogproof And Waterproof? How Are Optics Made Fogproof And Waterproof? How Are Optics Made Fogproof And Waterproof? When you look at the features of a pair of binoculars, spotting scope, or some other piece of glass, you’ll often see it labeled as waterproof, fogproof, or both. You might have asked yourself just what that means, and whether it’s really necessary. Let’s take a look at what manufacturers do to make scopes and other optics waterproof and fogproof, and what the benefits are of those features. In order to waterproof an optical device, the manufacturer seals any gaps between the lenses and the housing. Usually, this is done using O-rings, which will not allow moisture or even dust inside the unit. This is very effective at making a scope waterproof, but you need to understand what it means. When a scope or other optical device is O-ring sealed, this keeps moisture or debris from getting inside the optics chamber. However, any moisture that is already present has a chance of condensing on the inside of the lens, especially if you go from one temperature extreme to another (like from the inside of your warm car to the frigid temperatures of an Ohio winter, for example). That condensation is called fogging, and it makes your optics almost useless. To combat this, the manufacturers also fogproof the glass. In order to do that, they purge all of the air out of the barrel (or barrels, in the case of binoculars), replacing the air with nitrogen, argon, or sometimes a mix of argon and krypton. 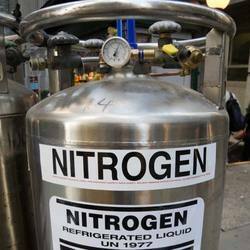 That process is called nitrogen purging or argon purging, and it replaces the air with a gas that does not have any moisture in it at all. Without moisture, you don’t have to worry about fogging, so your optics are considered fogproof. Okay, so we know how to keep the water out, but what about protecting our view when it rains? After all, even if the rain can’t get into the glass, it still obscures the view when it hits the outside of the lenses. This is where many manufacturers have started focusing their efforts, with special coatings that help keep the rain from staying on the outside of the glass. These coatings, applied to the outside of the objective lenses, make the rainwater bead up and fall away from your view. This way, you can keep enjoying your observations even when the rain starts falling. Is all of that really necessary? A waterproof scope or pair of binoculars will usually cost at least a little bit more than a non-waterproof optic, so you might wonder if it’s really necessary. The answer to that is pretty simple: how much are you willing to gamble with your investment that you’ll never be exposed to dust or water? Remember, rain showers can crop up unexpectedly, and accidents can happen where your optics end up in the drink. That peace of mind, knowing that your expensive spotting scope or binoculars will be just fine if you get rained on or accidentally drop your optics in a puddle is well worth the extra cost. You might not need the extra coating that makes the rainwater bead up and run off, but the O-ring seals are definitely a good idea for any outdoorsman’s or outdoorswoman’s optics. Then there’s the story of dust. If you live in a pretty dry part of the country, you might assume that water’s not really an issue. This is especially true in the desert, but any dusty area might make you think waterproofing is a luxury, not a need. Remember this, though: the same O-rings that keep water out will also keep out dust and other debris. Small particles that might be driven into your optics by the wind are even more damaging than water, so keeping them out is definitely a good idea. There you have it, a description of how glass gets to be waterproof and fogproof. These measures have become so commonplace that they really don’t add much to the manufacturing costs of optics, so you should not settle for less than waterproof and fogproof. You might save a few pennies on glass without these features, but if the unexpected happens and your optics are ruined by water or dust, you’ll wish you’d skimped on that drink of coffee in favor of more weather-friendly glass.